It can be amazing sometimes to think of how self-centered our adolescent lives were. I was fourteen when my family moved from New York to South Carolina and while most folks made me feel very welcome there, there were a few who clearly didn’t. And being painfully shy didn’t help. Being new in town can feel isolating but I don’t think it ever occurred to me that I wasn’t the only “new kid in school.” Ours was perhaps the only class to attend the brand new Northwestern High School for four consecutive years and those four years were the extent of my life in Rock Hill. But for those of us who were only there a short time, our memories may have faded more than yours. Some of you I remember well while others I need to be reminded of. 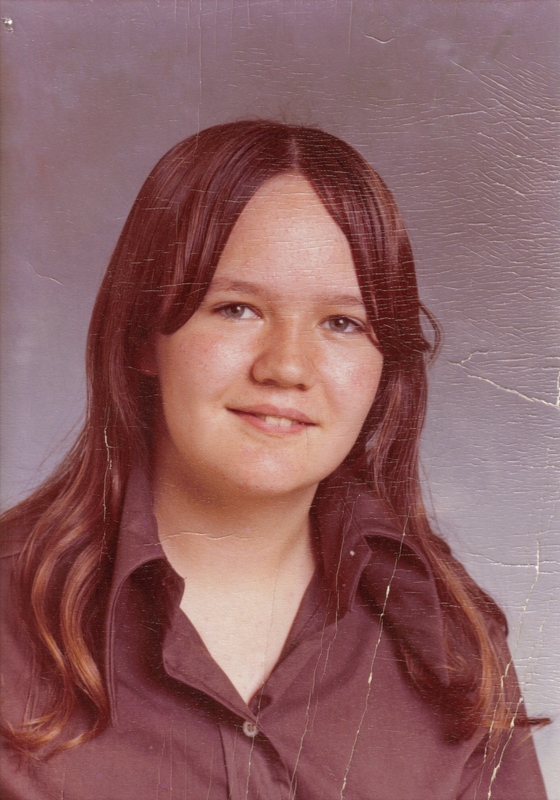 As each update on our reunion site comes through I run to my yearbooks to see if I can put a face with a name, bring up some old memory that I can dust off, and reconnect the dots of the past. Sometimes a name is familiar, sometimes a face, and rarely, a memory of some moment in time, a feeling, or some shared connection will come back. It was just four years, forty years ago. I wonder how many of you remember those of us who were with you for such a short time. We were just high school kids – one kid in a sea of many faces, at a time when we weren’t likely to have made profound impressions on anyone. How many of us even noticed the new kids or noticed how short their time was with us? And now forty years later, as we plan a re-union, we may meet for the first time. Or we may meet again and it will be as if we parted yesterday. But more likely for many, we will be meeting strangers we once knew or old friends for the first time. How much of life has happened in forty years? We’ve all had our successes and our failures, our celebrations and our sorrows. There have been comings and goings, births and deaths, sadness and hopefully, much joy. Some among us may not have changed – we may recognize you from your graduation picture or discover your life has been exactly as you planned it 40 years ago while others have become entirely different people or have simply grown into a potential we hadn’t glimpsed and couldn’t have imagined. We are a tapestry of diversity with ever changing colors and shapes, a tapestry that tells multitudes of stories from varying perspectives. Reunions help to weave those tapestries anew – with both the telling of stories and the keeping of secrets, both the making or strengthening of deep connections and the simplicity of superficial smiles. All are freshly sewn together with recollections of the joys of our youth and the angst of our adolescence. As our lives intersect again for only a day or two, will you censure yourself to guard the facade you carry or will you throw caution to the wind and reveal your vulnerability? How will you sum up the past forty years or even just relate who you’ve become in that brief window of a conversation? As for me, I’ve yet to decide about attending reunion. It’s relatively easy to take time from work at that time of year although the expense of travel does make it difficult to justify. But perhaps the biggest reason I’m undecided is that same self-centeredness I opened with about our adolescent years. I’m still shy and I’d be coming alone (my wife wouldn’t want to attend nor would I want to put her through it!) Attending any event alone is difficult for those of us who are shy and introverted. I don’t have a lot of history there and except for a few old classmates, I don’t know if any would even remember me. And whether pressed upon us or self-imposed, that sense of being an outsider, of being a new kid in town can be very uncomfortable for an introvert. Who knows, perhaps I will try to stretch my inner extrovert, expand my horizon and meet some strangers I used to know.